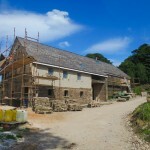 We are delighted to introduce to you Wheelton House Farm. A luxury conversion of 5 unique properties in the much sought after countryside of Heapey in Chorley. Consisting of The Farmhouse, The Cottage, North Barn, South Barn and The Engine House, Wheelton House farm will be one of Chorley’s premier addresses and is already generating fantastic feedback from those who have seen the site. 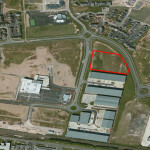 The development is being undertaken by our sister company Primrose Developnents, and work is already underway on site. Workspace Properties are proud to welcome Bill Beaumont Textiles Limited as our newest tenant on Lower Healey Business Park. With a history in Chorley that can be traced back over 5 generations, it was important for them to remain in the town, and Unit 8 at Lower Healey Business Park was an ideal option. Bill Beaumont CBE, is the great-great-grandson of the firm’s founder, Joseph Hargreaves, who set up as a weaving shed in Chorley to supply niche products to the local cotton markets. Today, now managed by Daniel Beaumont, they are a leading brand in the home furnishings industry and their mission is to provide their customers with excellent customer service, inspiration in design and excellent value for money. We would like to take this opportunity to wish the team at Bill Beaumont Textiles a long and prosperous future, and look forward to helping them to achieve this over the coming years. We are delighted to announce that Workspace Properties has today completed on the purchase of the last 3 remaining acres of development land on the Commercial Quarter at Buckshaw Village, Chorley. Our latest acquisition fronts both Ordnance Road and Buckshaw Avenue, and sits in the most prominent of positions in front of both the Buckshaw Link development and Tesco Superstore. Our site will be accessed directly from Ordnance Road, and is bordered by the new Mitchell’s & Butler’s pub and restaurant for which development is now underway. We will be releasing more details on the development plans for the site in due course, but should the site be of interest to you, then please do not hesitate to contact us for more information.